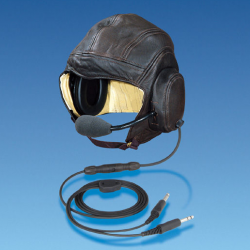 A hard helmet designed specifically for use with Pilot System headsets which combines with the headset to form an integrated assembly. 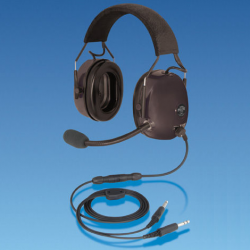 As headsets can be used without the helmet, this equipment provides a flexible communication system that can be used in both open-cockpit and enclosed-cockpit aircraft. The helmet has an outer shell of high impact Polycarbonate and an internal trauma liner made from a combination of Polystyrene and Viscoelastic Polyurethane (Memory Foam). The trauma liner moulds to the shape of the user's head, which makes the helmets very comfortable, whilst the composite design of the liner maintains full impact protection. Threaded bushes are provided in the outer shell, allowing an optional visor to be securely attached. The chin strap is adjustable and is fitted with a quick release buckle. 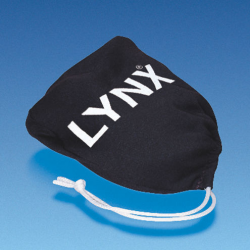 The Helmet Visor (face shield) is designed for use with Lynx helmets and provides face protection alongside the head protection offered by the helmet. The visor is manufactured from Polycarbonate and attaches securely to the helmet using three machine fasteners. The visor design incorporates an aerodynamic peak, smooth pivot mechanism and a manual latch to lock the visor in the closed position. To provide unrestricted vision when used with a visor extension, the visor opens fully and also locks into the open position. The visor is available as standard with a white opaque peak or in a high visibility version with a transparent tinted peak. The high visibility visor allows the user to see through the peak and provides better upwards visibility which is useful in certain applications. The Visor Extension is designed for use with a Lynx visor (face shield) and combines with the visor to form a streamlined assembly. 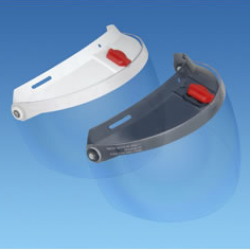 The extension is injection moulded from the same Polycarbonate material as the helmet which ensures an accurate fit to the visor with maximum strength. 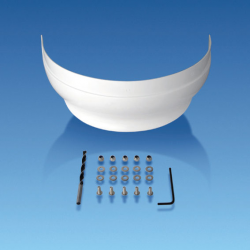 The extension can be factory fitted to the visor or supplied as a kit of parts. 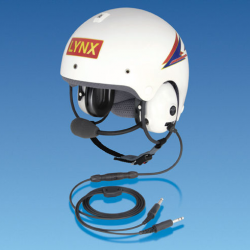 A soft leather helmet with padded chamois lining for use with Lynx headset. The helmet is fited over the headset and combines with it to form an integrated assembly. Hand madeto resemble a second world war fighter helmet, and weighing only 270 grams, this helmet is ideal for use in classic open-cockpit aircraft. Authentic MARK49 goggles with brass frames and stitched leather face mask. 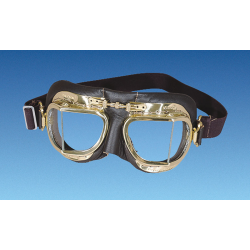 The helmet goggles are intended for use with the leather helmet and provide a classic look to the modern intercom equipment.